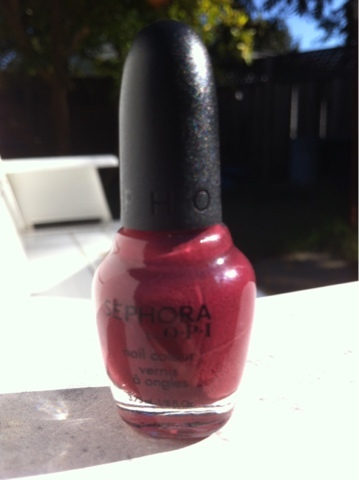 Sephora by O.P.I in "Beauty Junkie"
This is my first time using this color, and I have to say I absolutely adore it! 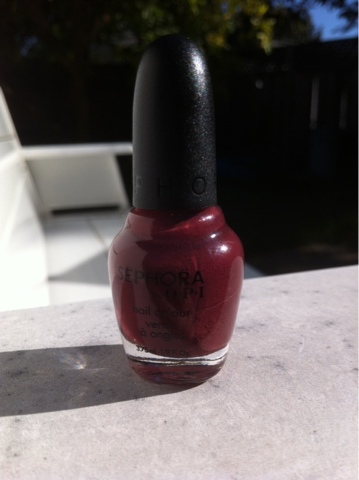 I wasn't too sure about this color when I purchased it last year, but I decided that I should try it because it seemed like a very popular color for this season. 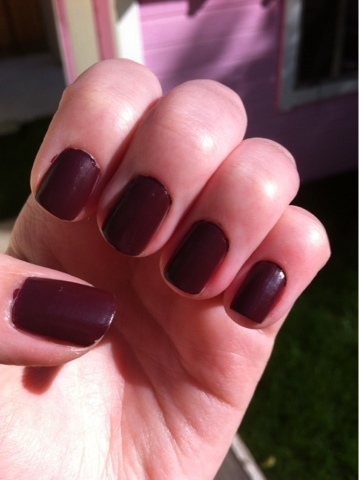 This color reminds a bit of a raisin. 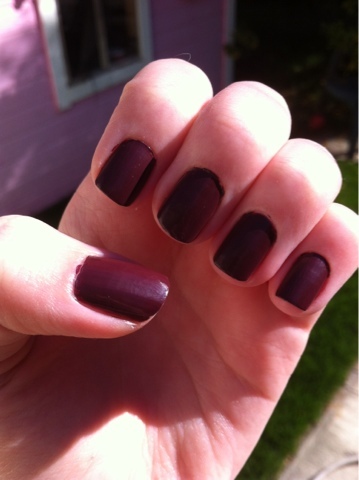 It has the same kind of purple brown tint that a raisin would have. 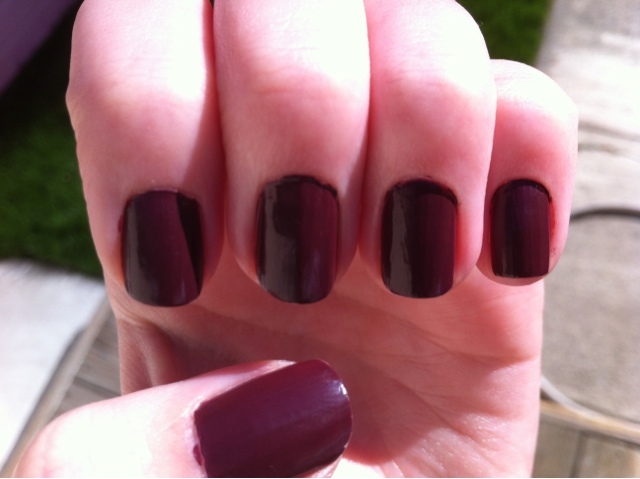 It also looks like a matte burgundy brown. I only applied the color 2 days ago and I am already noticing chips but that's probably because I didn't apply a top coat like usual. I applied 3 coats of nail polish. If you want more of a red-ish burgundy apply 2 coats. 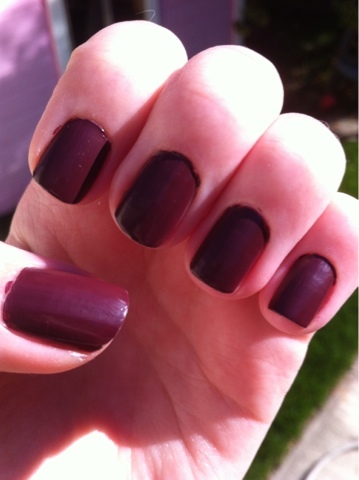 The more coats you apply, the browner it looks.